Finding it difficult to play your favourite game of football during the day? 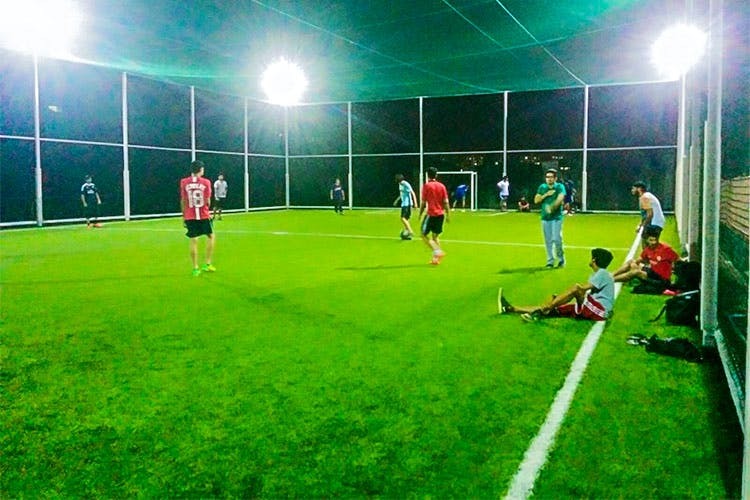 The Fortress football arena at Someshwar Nagar is your go-to place! Open till 12.30 am, you can get your team to Fortress on Sopan Nagar Road and play for an hour for INR 1,500. The place is also open in the morning and would cost you as low as INR 500. Their state-of-the-art turf from the Netherlands makes the experience here even greater. They have flood-lights for the evening slots and a game of 5 a side or 7 a side can easily be played here. Don’t let the time of the day hold you back, get done from work and go play with your squad. You can also go solo and play a match with the people present over there.